Developed for last-mile support, Harris MicroStar microwave radios offer multiple frequency bands, configurations and modulation schemes to ensure that your data is secure and streams are reliable. The Harris MicroStar family includes a broad range of point-to-point digital PDH radios that are built for swift deployment to support short, medium and long links. Options cover a significant range of frequency bands and protection options to ensure reliable, secure data and voice applications. Harris MicroStar solutions set the bar high for outdoor radio systems that combine both indoor and outdoor architecture into lightweight, compact architecture that’s designed for harsh environments. Individual architecture options give you support for cellular, personal, global and public communication systems. Build out your last mile operations and boost spurs or short paths with flexible, refurbished Harris MicroStar options from Worldwide Supply. These radios have reached their EOL but still have years of service thanks to the smart parts and repair capabilities of our expert engineers. Harris options include radio systems that work on the 7, 8, 13, 15, 18, 23 and 38 GHz frequency bands with 4T1 to DS3 and 4E1 to 16E1 capacities. A split-mount configuration with FSK, QPSK and 16QAM modulation schemes can deliver the improvements your network needs with H, L and M types. 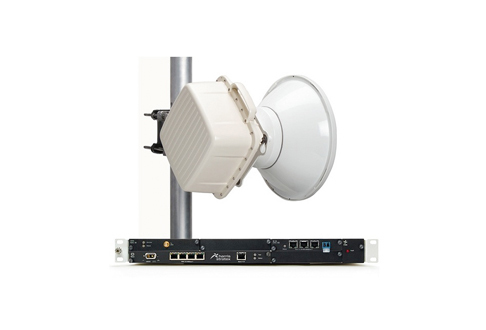 Worldwide Supply’s used Harris MicroStar microwave radios all feature Harris software designed to improve operations, simplify the process, ease maintenance, and reduce any training your techs will need to enhance your network.